Note: the list has been updated. For the 2017 Poetry ranking, go here. Below is the 2016 Literary Magazine Rankings for Poetry. For an explanation of the methodology, go here. If you find these rankings useful, please consider making a donation or purchasing one of my books. hey, thanks SO MUCH for publishing these lists. I agree. Thank you SO much for posting this list. You’re wonderful! Is this the entire list or an abbreviated one? It seems as though it’s abbreviated; but again, I can’t thank you enough. Abbreviated? 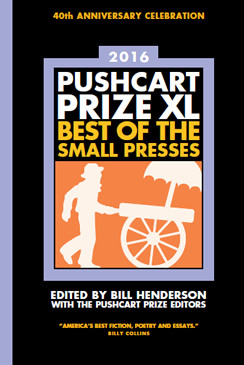 The list has over 250 magazines, and these are all the magazines that have received Pushcart Prizes or Special Mentions over the last 10 years. Not abbreviated. Hey! Where is the very fine British poetry journal ANTIPHON??? It certainly belongs here somewhere! I’m sure it’s a fine journal. The list includes only those magazines that have won Pushcart Prizes or special mentions.